When you tell strangers you’re from Kentucky, they usually make two immediate assumptions: That you love horse racing, and that you drink bourbon. Horse racing is OK, but I have a confession to make: I’m a Kentuckian who has never liked bourbon. This is not to say I don’t appreciate good bourbon; I am a craft beer enthusiast, and I’ve got a pretty good palate for wine, too, so I understand the enthusiasm for complex flavors. But bourbon and my palate have never become friends. And on the bourbon-and-horse-racing point, I’ll just say this: The mint julep is one of the most awful concoctions I’ve ever tasted. 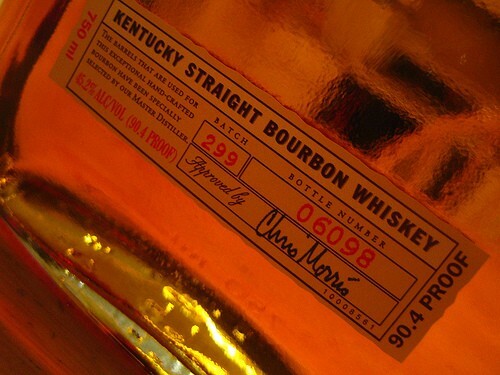 The first time I tried bourbon, I wasn’t even in Kentucky, ironically – I was on a business trip in Dallas. At a hotel bar, a friend/co-worker offered to buy me a Knob Creek. “I’ve never really been a bourbon drinker,” I said. So he bought me the Knob Creek, with three or four ice cubes. I got about halfway through it and had to order a Shiner Bock on draft. I’m not sure what it was about the flavor, but I just couldn’t get it done. Not that I didn’t appreciate the complexity of the Knob Creek; I just didn’t get it. A decade and a half later, I am still bourbon-neutral, even though bourbon has seen an almost unbelievable rise in prominence and popularity in the last three or four years. It’s like the craft beer explosion times 10. The peer pressure, especially in Kentucky, is getting hard to resist. And so, in response to the rising popularity, in tribute to my Kentucky roots and to celebrate National Bourbon Heritage Month, I decided to give bourbon another try. Fortunately, I was able to call on some highly qualified help. My good friend Fred Minnick is a noted bourbon aficionado and writer, and has a book coming out next month titled Whiskey Women: The Untold Story of How Women Saved Bourbon, Scotch, and Irish Whiskey. If he can’t steer me toward the right bourbon, I thought, no one can. “I’m going to have to re-think my association with you going forward,” he joked when I told him I had never liked bourbon and needed some guidance. Instead of abandoning me, however, he offered to give me an informal bourbon-tasting lesson in hopes of helping me see – or, rather, taste – the light. 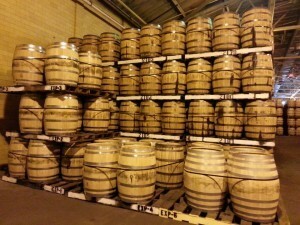 Bourbon, of course, is a style of whiskey, but with specific restrictions in how it’s made and distilled that separate it. And while I used to think it could only be bourbon if it was made here in the Bluegrass state, he corrected me on that as well. He then educated me about the four flavor sources for bourbon: the type of grains used, the method of fermenting, the type of distillation and, most importantly, the aging process. 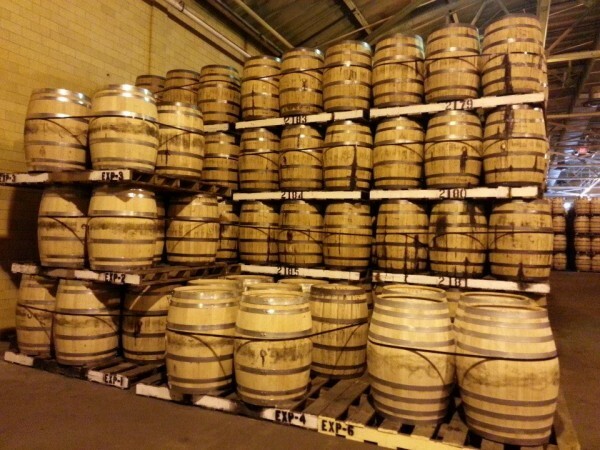 “The barrel is everything” when it comes to bourbon, Minnick said. Fair enough. Then it was on to the good stuff – specifically, an Old Forrester Birthday Bourbon, at 98 proof, that hasn’t even been released to the public yet (told you this guy knows bourbon). I take a sip – neat, as we are outside and don’t have any ice cubes handy. “What do you taste?” Minnick says. Next, he had me try a W. L. Weller 12 Year bourbon, made with wheat as a secondary grain. This one I’m just not getting. Fred points out that while much of the flavor in the Old Forrester is enjoyed at the back of the tongue, this one is on the front. He’s right – I don’t realize that until he points it out. The truth is, I drink so much hoppy beer that I’m used to tasting almost everything at the back of my palate. The Weller, he helps me realize, is sweeter. Less spicy. I like it much less than the Old Forrester. Next, I try a Wild Turkey Rare Breed, a 108 proof rye. I get acidity at the back of my palate at first taste, but the flavors aren’t as distinctive for me. And there is a burn here that isn’t present in the first two. He points out here that bourbon is not meant for shots, but for sipping, preferably with a small amount of ice. This point is one of which I’m already aware, as I’ve seen way too many college kids ordering round after round of cheap whiskey shots. 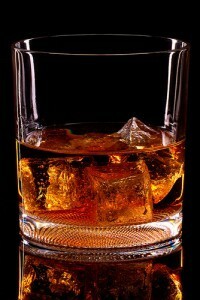 Later, I try Four Roses Single Barrel bourbon, with ice. This is more like it – the ice takes away a bit of the sting to release the spice and fruit notes, and gives it a brilliant orange color. This one tastes and feels a bit malty on my palate (oops, sorry, accidentally used a beer term there). The somewhat buttery flavor I get, however, still isn’t giving my palate what it wants in an adult beverage. I still just don’t quite get it. What Minnick surmises is that my palate simply doesn’t appreciate the sweetness inherent in bourbon; since bourbon is primarily made from corn, it’s naturally going to be sweet. He’s spot on – I rarely eat anything sweet. I say no thanks to candy unless it’s a bitter dark chocolate. On my own birthday, I turn my nose up at cake and ice cream. I like salty flavors, sour flavors and bitter flavors. Bitter. Ah. Now it all becomes clear: This love of bitterness is why I drink beer, and not bourbon. Now that we’ve cleared it up, Fred returns to his Four Roses, and I order an ale. Once again, all is right with the world.